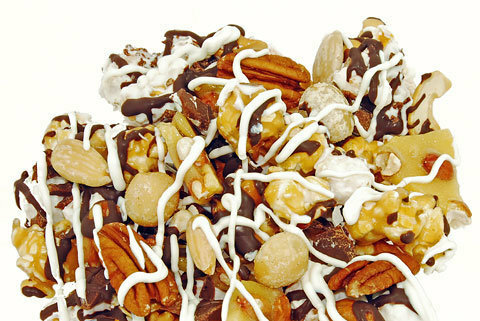 Too Haute Cowgirls is a line of fancy sweet popcorn. I was sent a bunch of samples of different kinds for review. My favorite popcorn that I tried is called the "End of the Trail Mix". It has nuts, dried bananas, granola, etc. in it. They have a very unusual flavor called "Chili con Chocolate" which is caramel corn covered in chocolate and dusted with chili powder. The spicy, salty, sweet combination is awesome! I am not the type of person to typically enjoy super sweet coated popcorn like this but in small portions, it is an awesome treat. Also, it is dog approved. My little Ava stole a small bag of the "Blisters on my Buttercrunch" popcorn and ate the whole thing before I caught her. Hey, at least she is smart to have not taken one with chocolate since dogs cannot have chocolate! Also, this popcorn is very gourmet and would make a great Christmas gift! You can buy it on their website HERE.